You have no idea how happy this makes us. 2019 is going to be alright. In the year of our Fight Lord, Mark-Paul Gosselaar and Mario Lopez are still hanging out together. Not only are Mark-Paul Gosselaar and Mario Lopez still homies, but they are rolling together. Yup, MPG and Lopez are big BBJ heads. MiddleEasy has been waiting over nine years for this exact moment in time; maybe even longer. As a child of the 80s or 90s, Saved by the Bell was the best after school show. Best Saturday afternoon show? Best show to binge watch before binge watching was even a thing? Whatever it was, Saved by the Bell was a touchstone for anyone currently in their 20s, 30s or 40s at this very moment. Even the New Class and the College Years get a pass at this point. Do you think Gosselaar and Lopez ever get bugged by fans who still view them as Zack Morris and AC Slater? Remember when Zack and Kelly got married in Vegas? Now it’s 2019 and MPG and Lopez are not only friends but they both share a passion for martial arts. 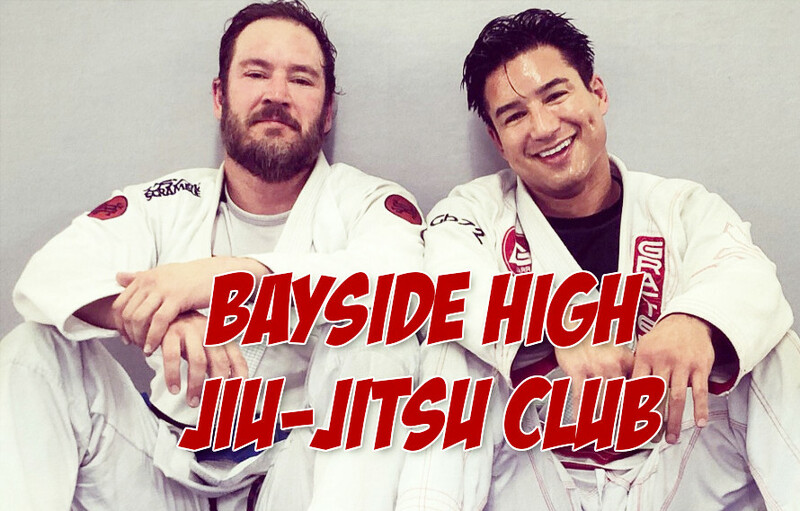 On Monday night (Jan. 21), Gosselaar and Lopez posted a photo as well as a video of them chilling on the jiu-jitsu mats. Our love of all things MMA and 90s pop culture are crossing over and we’re not sure if we can even deal. Bless up to the Bayside High Jiu-JItsu club reunion happening in 2019. Grab a post-roll bite at The Max? Yes, hell yes.